VICTORIA – Passive House Canada and members of Alberta’s construction community present the latest developments in high-performance buildings at BUILDEX Calgary, November 8–9. Designers, builders and high-performance building experts present their findings and experiences in working on Passive House projects, from the first Passive House buildings in Calgary to northern-climate institutional buildings, affordable housing and modular construction. Vous souhaitez en savoir plus sur les bâtiments à haute performance, « Passivhaus » ou Maison passive ? Maison Passive Canada, en collaboration avec Maison Passive Québec présente une formation de 1 jour : Introduction aux bâtiments à haute performance construits selon la norme Maison passive, à Montréal. The Net Positive Symposium in Vancouver takes place October 30-31. Space is limited and we highly recommend you tickets now to avoid disappointment. The event is aimed at those familiar with Passive House design wanting an in-depth exploration of solutions to the challenges being encountered by today’s project teams. Speakers will present numerous case studies plus deep dives into ventilation, thermal bridging, air highness and mechanical issues. 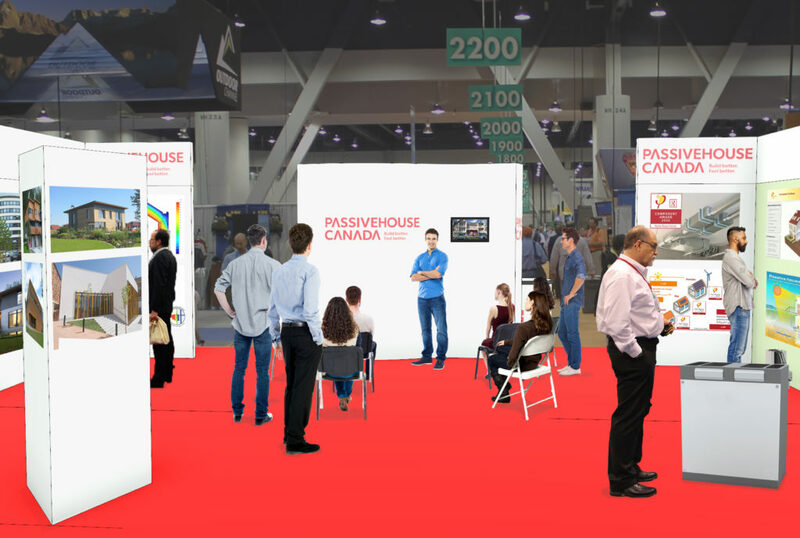 On Nov. 29 – 30, the Metro Toronto Convention Centre will host the third annual Passive House Summit at IIDEX. Comprised of four seminars, the summit will explore policies, principles, case studies and future directions of high performance building. Speakers include Lisa King (City of Toronto), Jamie Stephens (Oxford County), Rob Bernhardt (Passive House Canada), Graham Cubitt (Indwell), Jonathan Kearns (Kearns Mancini Architects), Ilana Judah (FXFOWLE Int’l), and Andrew Peel (Peel Passive House Consulting). The Fenestration Association of BC has launched a funding program to stimulate development of new designs and manufacturing processes that will lead to cost-effective, marketable, high-performance windows being built in British Columbia. The costs associated with creating new product lines that exceed current BC energy-efficiency requirements, including lab testing and certification, are a barrier to the introduction of high-performance windows into the market. The High-Performance Window Certification program aims to overcome these market barriers. Passive House Canada members who are developing innovative solutions to meet the high-performance building targets outlined in Build Smart: Canada’s Buildings Strategy may be eligible for federal clean energy innovation funding. The recently released national buildings strategy for Canada puts architects, builders and suppliers who provide Passive House-related services and materials for construction at the leading edge of an emerging market transformation. Build Smart: Canada’s Buildings Strategy is a key driver of the Pan-Canadian Framework on Clean Growth and Climate Change and commits the provinces and their communities to dramatically improve performance and energy efficiency of new and existing building stock over the coming decades.